Three races remain in the 2018 Bennetts British Superbike Championship and the stage is set for JG Speedfit Kawasaki’s Leon Haslam to take his first BSB title. 61 points is the difference between leader Haslam and second placed Jake Dixon, who is the only man mathematically able to catch the soon-to-be KRT World Superbike rider. The Kawasaki man extended his lead in the series after a mechanical failure at Assen in race 2 for Jake Dixon, which allowed Haslam to take his 14th victory of 2018. The Brands Hatch GP circuit is one track on the calendar that the ‘Pocket Rocket’ hasn’t won at, and it holds bad memories for the 35-year-old. Last season saw Haslam dramatically lose his large lead over Shane ‘Shakey’ Byrne, crashing out of the final race after technical issues in the second race, thus allowing Byrne to bag his sixth British crown at his rival’s expense. But, this year seems straight forward for the ultra-consistent Haslam, who has finished every race in 2018 and sensationally just three times off the podium. All the Derbyshire man requires is to finish on the podium in the opening encounter of the weekend on Saturday and he’ll be crowned Champion. Once again, it’s simple for Dixon, he must win every race and hope for mis-fortune, much like last year for Haslam if he has any hope of winning the Championship before he jets off to compete in the Moto2 World Championship in 2019. It isn’t just the fight for the title that you need to keep your eyes on this weekend, the battle for the ‘Riders Cup’ is equally as competitive, and one not to overlook. Jason O’Halloran currently leads the way with 152 points, but an inform Taz MacKenzie is hunting him down at a quick rate sitting just 5 points behind, and the Honda Racing man will be looking over his shoulder to keep the McAMS Yamaha man at bay. In fact, just 14 points cover O’Halloran, MacKenzie, Christian Iddon, Danny Buchan and Tommy Bridewell. 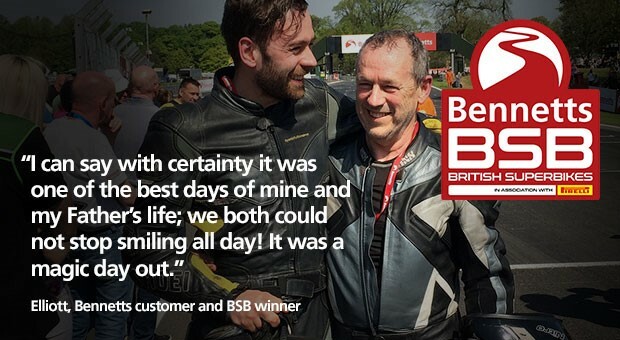 Back in July, MacKenzie battled at the front for the victory before crashing out, showing his first signs of brilliance in the Superbike class. So, you can expect him to be up the front once again. Now let’s take a look back at 2017 and the drama-fuelled final round, Leon Haslam held the Championship lead over Byrne and Brookes heading into the last three races, but it would be Shakey who grabbed his sixth crown, as Haslam hit mis-fortune. The first of three races that weekend would see Byrne take victory from Christian Iddon and Josh Brookes, with Haslam finishing off the podium in fourth. Sunday’s second race saw Byrne once again taste victory, stealing the top spot from Iddon, but this time Ellison beat Brookes to the line to round out the podium. Race three saw Brookes come out on top after Haslam dramatically crashed out, following toing and froing with Jason O’Halloran and James Ellison all race long. Byrne crossed the line in eighth, enough to seal his sixth BSB crown but by only three points from rival Josh Brookes, who shrugged off the critics that wrote him and the Anvil Hire TAG Racing team off at the start of 2017. Now back to the future, let’s take a look at the best places to indulge all the action, and the first place to start is the first corner the riders will face, Paddock Hill Bend. With a huge roller coaster-styl drop-off, Paddock Hill is the prime spot to spectate from with masses of land around to pitch up for the day. You are guaranteed to see overtakes, and 26 BSB bikes squeeze through during all three races, so make sure you arrive early to get your spot. Druids hairpin, Graham Hill Bend and Surtees are also great viewing areas, but there is no better place to watch from than Clearways. The final corner of the 2.4-mile venue is the ultimate place to see the Championship decided, much like 2011 where Tommy Hill fought off John Hopkins to take his first BSB title. Not sure when and where things will take place this weekend? Well we have the timetable for you to make sure you never miss a beat at Brands Hatch. You’ll not be short of places to eat during breaks in action, the Kentagon and three small cafés are dotted around, and all serve great food and hot drinks if the weather is cooler than we imagine. Independent burger vans, sweet stalls and coffee houses will be around for anyone who fancies something a little bit different. We also advise that you bring an umbrella, let’s not forget it is October and you never know what kind of weather Mother Nature will throw our way. With a lack of covered areas around the circuit, we’d hate to see you wet through as the weekend goes on. If you forget your coat or brolly, then don’t fear, the trade areas will have everything you need from fold away chairs to pac-a-mac’s. Simply head over to the trade zone behind the home straight as you walk in through the main entrance. Remember it isn’t just the Superbike stars who are out in full force in the ‘Garden of England,’ there are still two other Championships to be decided. The Dickies British Supersport has just two races remaining, and with 50 points up for grabs the battle between Jack Kennedy and Gearlink Kawasaki’s Ben Currie will once again ignite. 41 points separate both men, and all Kennedy has to do to secure the title is finish no lower than seventh in the first race on Saturday and the Championship will go to the Dubliner. Currie is in the same boat as Jake Dixon, he is reliant on misfortune but that won’t stop him going all out to force the hand of the Integro Yamaha man. Keith Farmer can collect his second Pirelli National Superstock 1000 Championship but he leads Buildbase Suzuki’s Billy McConnell by just 10 and a half points heading into the final two races. Although, Joe Collier is still in the hunt just 29 points behind so anything could still happen, but if the Clougher man finishes on the podium he can seal the title for his Tyco BMW team. Also, in action for your entertainment is the Pirelli National Superstock 600 Championship, the Hel Performance British Motostar’s, the Dickies Junior British Supersport Championship, and not forgetting the Sidecars. MotoGP star and Ducati factory test rider Michelle Piro will also be out on track on Sunday afternoon, demonstrating the all new Ducati V4, which will be contested in Bennetts BSB next year by Scott Redding and Josh Brookes in the Be Wiser Ducati team. Tickets for the final round are available from the Brands Hatch website, at just £34 for adults on Sunday. Grandstand seats are available and start from £10.